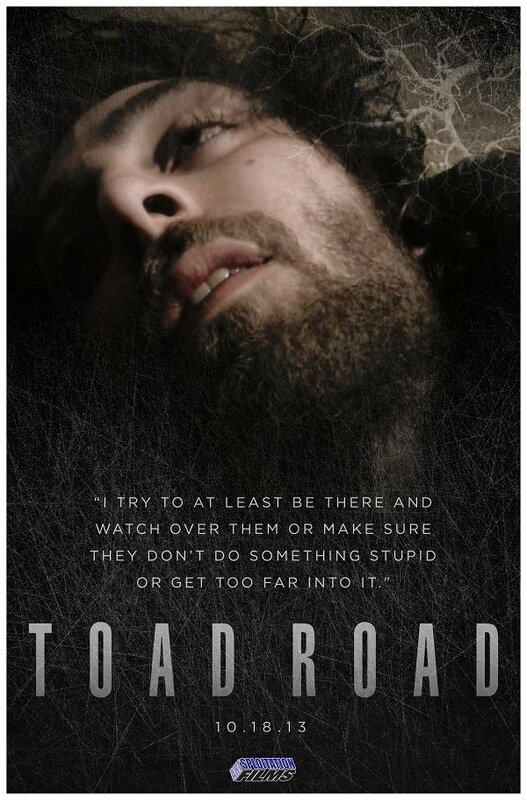 I have a lot of faith in Artsploitation’s upcoming horror indie Toad Road, directed by Jason Banker. Part of is certainly the fear-loving stubbornness that makes me watch too many horror flicks, but a bigger part of it has to do with this looking like a legitimately creepy ordeal that isn’t trying to be anything other than strange. The clip above, via Bloody Disgusting, kind of proves that, by not being about anything at all other than characters having emotional breakdowns. It’s not necessarily interesting or provoking, but it’s weird. As are the four new posters. They don’t depict anything that odd, and it’s really just two duplicate pictures with different color palates. Only they’re slightly different. In the natural colored picture of the guy, it’s zoomed in so you can’t see him holding a joint, like he is in the other one. In the female’s natural looking poster, you can see a flipped around reflection of her on the bottom, which is missing from the other. It might just seem like incidental nonsense to some people, but somebody sat there and thought about doing it, so I appreciate the oddness behind it. Take a look at all four below. Not only did it win the jury prizes for Best Actor and Best Director at the Fantasia Film Festival last year, but it doesn’t really look like any other thriller out there right now, even though the plotline travels a well-worn genre path. But there are no mutated animal hybrid or psycho killer in a mask. There are (probably) no ghosts whose biggest power is opening up all the cabinets. Plus, it isn’t found footage, though it does work in documentary footage. This is about people trying to take on a crazy urban legend. On drugs. 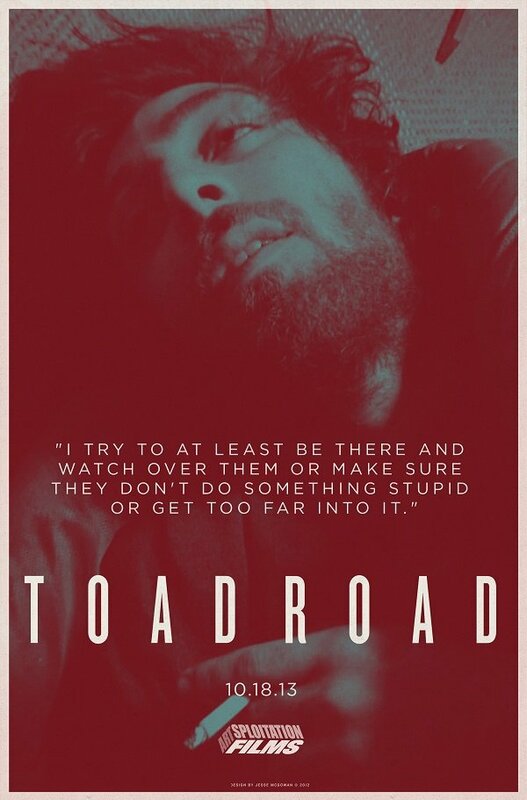 James Davison stars as James, a slacker whose life is full of hanging out with friends and doing assortments of drugs. Sara (Sara Anne Jones) is a new member of the group whose innocence becomes drowned in intoxicants, and she and James get along quite well. 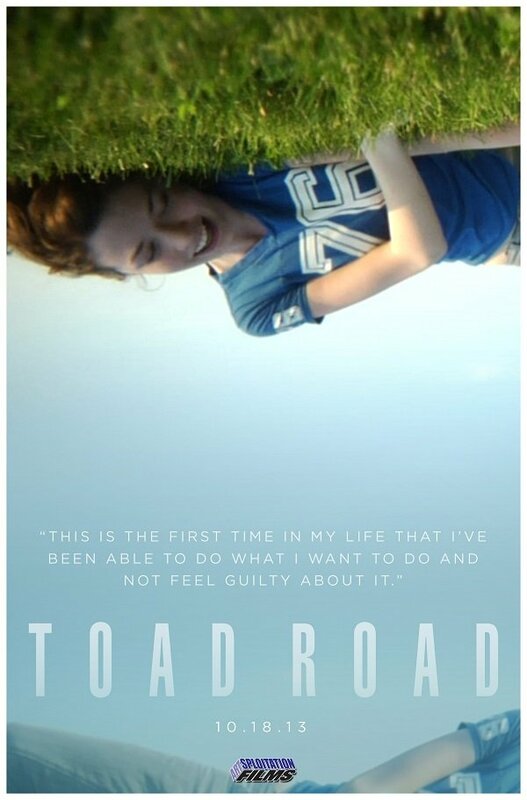 And then after everyone is good and trashed on a regular basis, someone brings up Toad Road, a path in the near vicinity of their partying which has seven wooden gates that lead straight to Hell. And then…I have no idea. That’s why I want to see this movie so much. 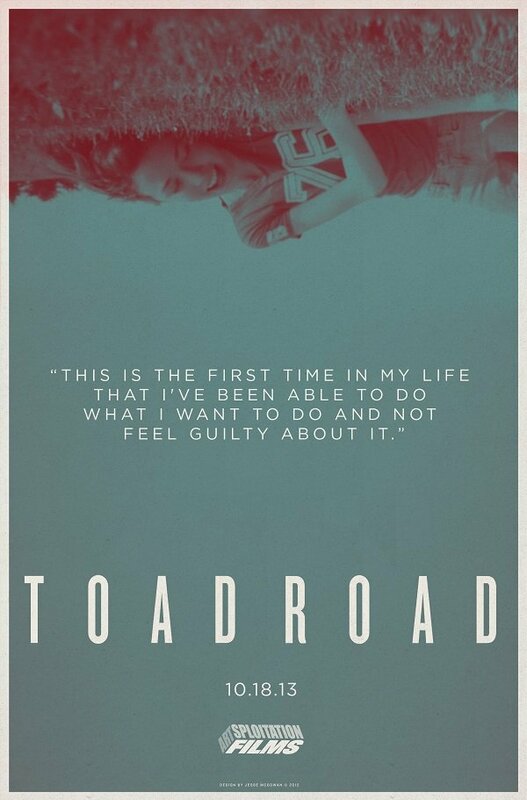 Produced by Elijah Wood’s SpectreVision , Toad Road is coming out in theaters on a limited run this month. But the rest of the country can expect VOD and DVD releases on December 10 Check out a longer trailer for the film below.